This singing dog balloon wishes you a happy birthday! 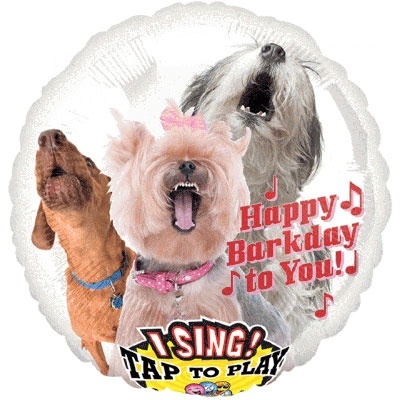 This funny double-sided balloon features three howling dogs and says "Happy Barkday to You!" Press the button at the bottom of this birthday balloon and hear it bark the tune of "Happy Birthday to You." It's a fun addition to your other dog decorations! -Barks "Happy Birthday to You"